Lotza Party is America’s first upscale mobile entertainment company. Our first class service is unmatched and our dedication to excellence shows through all of our parties and events. Lotza Party offers Party Rentals for all occasions. Please browse our amazing inventory and build your party right from your home or office. Lotza Party cast members will deliver and pick up your party supplies so you can sit back, relax, and enjoy your event. Our staff is always standing by to help you along the way! See you at the party! Disney’s “Frozen” has swept the country by storm. 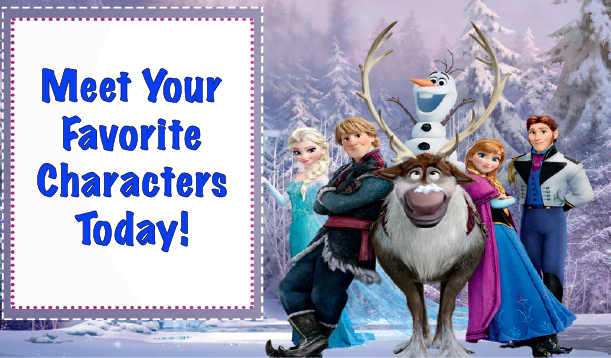 Your party will be the talk of the town with a character meet and greet. Lotza Party offers the best in home party entertainment and it shows through in all our special events. A very special snowman is eager to give warm hugs to your little one. Parties are booking fast so reserve yours today! 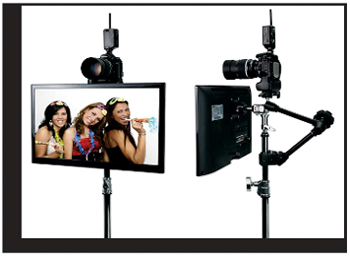 Lotza Party is the most sought after photo booth company in the tri-state area. Our booths for up to 20 guests at a time and our fully trained staff keep your party running smooth. At Lotza Party we have blended ultra modern style with state of the art optics and technology to bring you the most sophisticated photo booth available. Instant Facebook, Twitter, QR code, and email capabilities, give your guests a game like experience that will have them eager to take their next photo. Our prop selections is matched by no other company. Experience the difference. From Frozen drink machines to portable draft beer cooler rentals Lotza Party is your one stop "over 21" party shop. 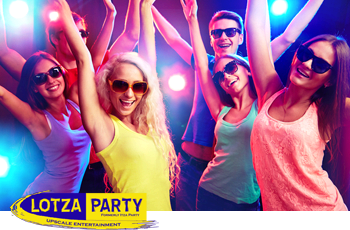 Home parties, office parties to corporate events Lotza Party has it all. Ice Luges and fully operational wet bar rentals are just some of the options that are available. 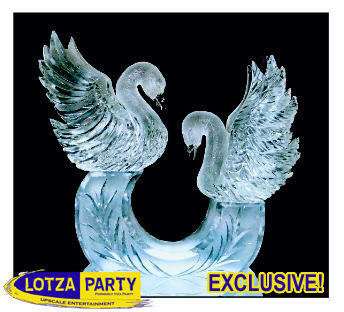 Lotza Party offers the area's largest selection of ice sculptures for your special occasion. Each piece is a work of art and adds elegance and sophistication to your event. Our prices are the best in the industry due to our high volume of work. Put your trust in the industry leader!